MTV’s Untitled Comedy Series rounds up some of the craziest sh*t found online and brings it to life for MTV. Things like messed up texts and Facebook posts, hilarious pictures of people engaging in bizarre activities, and even real life virtual fail stories are submitted and reenacted for this hysterical show. The new comedy show is hosted by Hasan Minhaj — a You Tube favorite with his net series “The Truth with Hasan Minhaj” and a series regular on MTV’s improv show ‘Disaster Date.’ Hasan has appeared on E!‘s ‘Chelsea Lately’, Fox’s ‘The Wanda Sykes Show’, and Comedy Central’s ‘Legend of Neil.’ The show is shot in front of a live studio audience where Minhaj invites a panel of three comedians to joke, dissect, and play games within the various segments. Don’t miss MTV’s newest comedy series where the web gets OWNED. 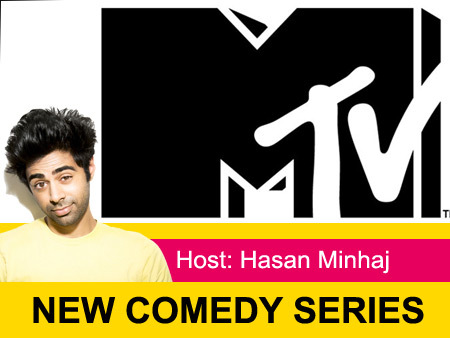 MTV’s new comedy series is taping now (until Sunday, August 5) in NYC, click here to get free tickets. Comedy Central’s “Nightcap” with Paul F. Tompkins is a humorous and interactive look at the world of popular culture as Paul and a recurring group of his funny friends offer their unique take on the most talked about stories of the day.